Early one morning Commissario Guido Brunetti of the Venice Police confronts a grisly sight when the body of a young man is fished out of a fetid canal. All the clues point to a violent mugging, but for Brunetti the motive of robbery seems altogether too convenient. 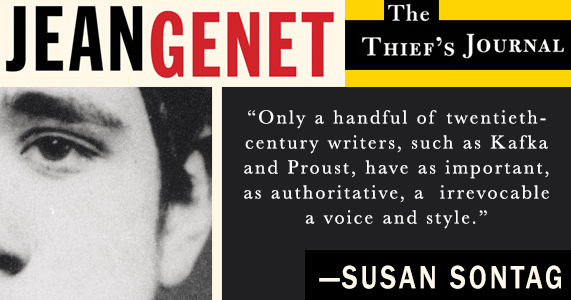 When something is discovered in the victim’s apartment that suggests the existence of a high-level conspiracy, Brunetti becomes convinced that somebody, somewhere, is taking great pains to provide a ready-made solution to the crime. 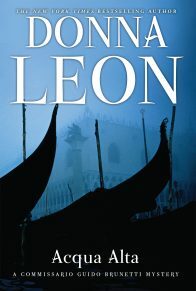 Rich with atmosphere and marvelous plotting, Death in a Strange Country is a superb novel in Donna Leon’s chilling Venetian mystery series. The body floated face down in the murky water of the canal. Gently, the ebbing tide tugged it along towards the open waters of the laguna that spread out beyond the end of the canal. The head bumped a few times against the moss-covered steps of the embankment in front of the Basilica of Santi Giovanni e Paolo, lodged there for a moment, then shifted free as the feet swung out in a delicate balletic arc that pulled it loose and set it again drifting towards the open waters and freedom. Close by, the bells of the church chimed four in the morning, and the waters slowed, as if ordered to do so by the bell. Gradually, they slowed even more, until they reached that moment of utter stillness that separates the tides, when the waters wait for the new tide to take over the day’s work. Caught in the calm, the limp thing bobbed on the surface of the water, dark-clad and invisible. Time passed in silence and then was broken by two men who walked by, chatting in soft voices filled with the easy sibilance of the Venetian dialect. One of them pushed a low cart loaded with newspapers which he was taking back to his newsstand to begin the day; the other was on his way to work in the hospital that took up one entire side of the vast open campo. Out in the laguna, a small boat puttered past, and the tiny waves it raised rippled up the canal and toyed with the body, shifting it back up against the embankment wall. As the bells chimed five, a woman in one of the houses that overlooked the canal and faced onto the campo flung open the dark-green shutters of her kitchen and turned back to lower the flaming gas under her coffee pot. Still not fully awake, she spooned sugar into a small cup, flipped off the gas with a practised motion of her wrist, and poured a thick stream of coffee into her cup. 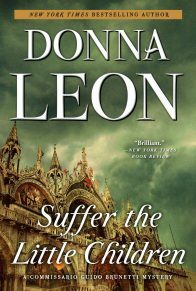 Cradling it in her hands, she walked back to the open window and, as she had every morning for decades, looked across at the giant equestrian statue of Colleoni, once the most fearsome of all Venetian military leaders, now her nearest neighbour. For Bianca Pianaro, this was the most peaceful moment of the day, and Colleoni, cast into eternal bronze silence centuries ago, the perfect companion for this precious, secret quarter-hour of silence. “Santi Giovanni e Paolo. In front of the hospital, sir,” answered the policeman who had called him as soon as the call came into the Questura. “What happened? Who found him?” Brunetti asked, swinging his feet out from beneath the covers and sitting up on the edge of the bed. “They’ve all gone home, sir. I called Bozzetti, but his wife said he wasn’t home yet.” As he spoke, the young man’s voice grew more and more uncertain. “So I called you, sir, because I know you’re working day shift.” Which, Brunetti reminded himself, began in two and a half hours. He said nothing. “Yes, sir,” the young man responded, his relief audible at having someone take charge. “No, nothing. But send the launch. Right now. And tell the others, if they get there before I do, to close things off. Don’t let anyone get near the body.” Even as they spoke, how much evidence was being destroyed, cigarettes dropped on the ground, shoes scuffed across the pavement? Without saying anything further, he hung up. Beside him in the bed, Paola moved and looked up at him with one eye, the other covered by a naked arm against the invasion of light. She made a noise that long experience told him was an inquisitive one. “A body. In a canal. They’re coming to get me. I’ll call.” The noise with which she acknowledged this was an affirmative one. She rolled onto her stomach and was asleep immediately, certainly the only person in the entire city uninterested in the fact that a body had been found floating in one of the canals. He dressed quickly, decided not to spend the time shaving, and went into the kitchen to see if there was time for coffee. He opened the lid of the Moka Express and saw about an inch of coffee left over from the night before. Though he hated reheated coffee, he poured it into a saucepan and put it on a high flame, standing over it and waiting for it to boil. When it did, he poured the almost-viscous liquid into a cup, spooned in three sugars, and downed it quickly. The bell to the apartment sounded, announcing the arrival of the police launch. He glanced at his watch. Eight minutes before six. It must be Montisi; no one else was capable of getting a boat here that quickly. He grabbed a wool jacket from the cupboard by the front door. September mornings could be cold, and there was always the chance of wind at Santi Giovanni e Paolo, so near to the open waters of the laguna. At the bottom of the five flights of stairs, he pulled open the door to the building and found Puccetti, a recruit who had been with the police for fewer than five months. “Buon giorno, Signor Commissario,” Puccetti said brightly and saluted, making far more noise and motion than Brunetti thought seemly at that hour. Brunetti answered with a wave and headed down the narrow calle on which he lived. At the edge of the water, he saw the police launch moored to the landing, blue light flashing rhythmically. At the wheel, he recognized Montisi, a police pilot who had the blood of countless generations of Burano fishermen in his veins, blood that must certainly have been mixed with the waters of the laguna, carrying an instinctive knowledge of the tides and currents that would have allowed him to navigate the canals of the city with his eyes closed. Montisi, stocky and heavy-bearded, acknowledged Brunetti’s arrival with a nod, as much an acknowledgement of the hour as of his superior. Puccetti scrambled onto deck, joining a pair of uniformed policemen already there. One of them flicked the mooring cable free of the piling, and Montisi backed the boat quickly out into the Grand Canal, then swung it sharply around and back up towards the Rialto Bridge. They swept under the bridge and swung into a one-way canal on the right. Soon after that, they cut to the left, then again to the right. Brunetti stood on the deck, collar raised against the wind and the early-morning chill. Boats moored on either side of the canals bobbed in their wake, and others, coming in from San Erasmo with fresh fruit and vegetables, pulled to the side and hugged the buildings at the sight of their flashing blue light. Finally, they turned into the Rio dei Mendicanti, the canal that flowed beside the hospital and out into the laguna, just opposite the cemetery. The proximity of the cemetery to the hospital was probably accidental; to most Venetians, however, particularly those who had survived treatment at the hospital, the location of the cemetery was a silent comment upon the proficiency of the hospital staff. 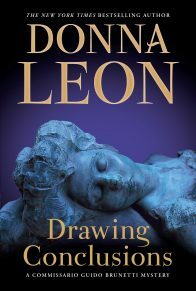 Halfway down the canal, clustered on the right, Brunetti saw a small group of people drawn up close to the edge of the embankment. Montisi stopped the boat fifty metres from the crowd in what Brunetti knew would be, by now, an entirely vain attempt to keep any evidence at the site free from the effects of their arrival. One of the officers approached the boat and held out a hand to Brunetti to help him climb ashore. “Buon giorno, Signor Commissario. We got him out, but, as you can see, we’ve already got company.” He gestured to nine or ten people crowding around something on the pavement, their bodies obscuring it from Brunetti’s sight. The officer turned back towards the crowd, saying as he walked, “All right. Move back. Police.” At the approach of the two men, not at the command, the crowd pulled back. 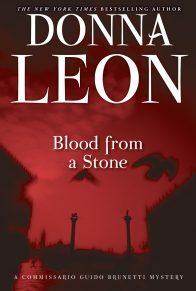 On the pavement, Brunetti saw the body of a young man lying on his back, eyes open to the morning light. Beside him stood two policemen, uniforms soaked to their shoulders. Both of them saluted when they saw Brunetti. When their hands returned to their sides, water trickled to the ground beneath them. He recognized them, Luciani and Rossi, both good men. “Well?” Brunetti asked, looking down at the dead man. Brunetti turned and looked across at the house. “Fourth floor,” Luciani explained. Brunetti cast his eyes up, just in time to see a form pull back from the window. As he stared at the building and at those beside it, he noticed a number of dark shadows at the windows. Some retreated when he looked at them, others did not. Brunetti turned back to Luciani and nodded to him to continue. “He was near the steps, but we had to go in and pull him out. I put him on his back. To try to revive him. But there was no hope, sir. It looks like he’s been dead a long time.” He sounded apologetic, almost as if his failure to breathe life back into the young man had somehow added to the finality of his death. “Did you check the body?” Brunetti asked. “Good, good,” Brunetti muttered. Luciani shivered, either with cold or the awareness of his failure, and small drops of water fell to the pavement below him. The men thanked him and pushed their way through the crowd, which had grown larger in the few minutes Brunetti had been there. He gestured to one of the uniformed men who had come with him on the launch and told him, “Move these people back, then get their names and addresses, all of them. Ask them when they got here, if they heard or saw anything strange this morning. Then send them home.” He hated the ghouls who always gathered at the scenes of death and could never understand the fascination so many of them had with it, especially in its more violent manifestations. He looked again at the face of the young man on the pavement, now the object of so many pitiless stares. He was a handsome man, with short blond hair made darker by the water that still puddled around him. His eyes were a clear, limpid blue, his face symmetrical, nose narrow and fine. Brunetti thought for a moment, considering the moon. It had been new two nights ago: the tides would not have been strong enough to carry the body very far at all. He would have to ask Montisi about last night’s tides. The hands of the dead man were strangely shrivelled and white, a sure sign he had been in the water for a long time. Once he knew how long the young man had been dead, he’d leave it to Montisi to calculate how far he could have drifted. And from where. In the meantime, there was Puccetti. “Ask them for any time last night. And get some barriers set up. Send those people home if you can.” Little chance of that, he knew. Venice had few events like this to offer its citizens; they would leave only reluctantly. He heard the sound of another boat approaching. A second white police launch, blue light pulsing round, pulled into the canal and stopped at the same mooring Montisi had used. This one also carried three men in uniform and one in civilian clothing. Like sunflowers, the faces of the crowd turned from the sun of their attention, the dead man, and swirled around towards the men who jumped down from the boat and approached the crowd. Rizzardi nodded and grunted at this. The shrivelled skin of the hands told him how late it had been for any help. Taking this compliment as no more than his due, Rizzardi turned his full attention to the corpse. As he bent over the body, the whispers of the crowd grew even more sibilant. He ignored them, placed his bag carefully in a dry spot near the body, and stooped down over the corpse. Brunetti wheeled around and walked towards the people who stood in what had now become the front rank of the crowd. “If you’ve given your names and addresses, you can go. There’s nothing more to see. So you can go, all of you.” An old man with a grizzled beard bent sharply to the left to look past Brunetti and see what the doctor was doing over the body. “I said you can go.” Brunetti spoke directly to the old man. He straightened up, glanced at Brunetti with complete lack of interest, then bent back down, interested only in the doctor. An old woman yanked angrily at the leash of her terrier and went off, visibly outraged by yet more evidence of police brutality. The uniformed men moved slowly among the crowd, turning them gently with a word or a hand on the shoulder, gradually forcing them to move away, abandoning the area to the police. The last to leave was the old man with the beard, who moved only as far as the iron railing enclosing the base of the statue of Colleoni, against which he leaned, refusing to abandon the campo or his rights as a citizen. “Guido, come here a moment,” Rizzardi called from behind him. Brunetti turned and went to stand beside the kneeling doctor, who held back the dead man’s shirt. About five inches above his waist, on the left side, Brunetti saw a horizontal line, jagged at the edges, flesh strangely greyish-blue. He knelt beside Rizzardi in a chill pool of water to get a closer look. The cut was about as long as his thumb and now, probably because of the body’s long immersion, gaped open, curiously bloodless. Brunetti nodded in silent agreement. “What could do something like that?” he asked, nodding towards the wound. “Why do you say that?” Brunetti asked. Rizzardi sat back on his heels, careful to pull the folds of his raincoat under him to keep them from the water below. “No, I doubt it. If it missed the heart, there wouldn’t have been enough damage to keep him from pulling himself out of the water. Just look at how pale he is. I think that’s what happened. One blow. The right angle. Death would have been almost immediate.” He pushed himself to his feet and delivered the closest thing the young man was to get to a prayer that morning. “Poor devil. He’s a handsome young man, and he’s in excellent physical shape. I’d say he was an athlete or at least someone who took very good care of himself.” He bent back over the body and, with a gesture that seemed curiously paternal, he moved his hand down across his eyes, trying to force them closed. One refused to move. The other closed for a moment, then slowly slid open and stared again at the sky. Rizzardi muttered something to himself, took a handkerchief from his breast pocket, and placed it across the face of the young man. “Cover his face. He died young,” muttered Brunetti. Though he had done it many times in his career, Brunetti hated this first invasion of the privacy of the dead, this first awful imposition of the power of the State on the peace of the departed. He disliked having to go through their diaries and drawers, to page through their letters, finger their clothing. But since the body had already been moved from where it had been found, there was no reason to leave it untouched until the photographer could record where it lay in the precise posture of death. He squatted beside the young man and reached a hand into his trouser pocket. At the bottom he found a few coins and placed them beside the body. In the other there was a plain metal ring with four keys attached. Unasked, Rizzardi bent down to help shift the body to its side so that Brunetti could reach into the back pockets. One held a sodden yellow rectangle, clearly a train ticket, and the other a paper napkin, equally sodden. He nodded to Rizzardi, and they lowered the body back to the ground. He picked up one of the coins and held it out to the doctor. “What is it?” asked Rizzardi. “American. 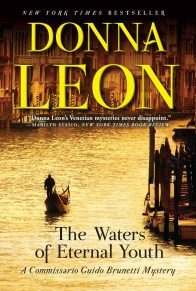 Twenty-five cents.” It seemed a strange thing to find in the pocket of a dead man in Venice. “Why he’s in such good shape,” Rizzardi answered, entirely unconscious of the bitter incongruity of the tense. “That might explain it. They’re always so fit, so healthy.” Together, they looked at the body, at the narrow waist that showed under the still-open shirt. “All right. Then call me about three.” They shook hands briefly, and Doctor Rizzardi picked up his bag. Without saying goodbye, he walked across the open space towards the monumental open portal of the hospital, two hours early for work. More officers had arrived while they were examining the body, and now there must have been eight of them, formed in an outward-facing arc about three metres from the body. “Sergeant Vianello,” Brunetti called, and one of them stepped back from the line and came to join him beside the body. While this was being done, Brunetti returned to his examination of the front of the basilica, letting his eyes flow up and around its soaring spires. His eyes shifted across the campo to the statue of Colleoni, perhaps a witness to the crime. “Yes, sir,” Vianello said, trying to write this in his notebook while walking. “For the tides, sir?” Vianello asked, understanding immediately. “Yes. And start calling the hotels. See if anyone is missing from his room, especially Americans.” He knew the men disliked this, the endless calls to the hotels, pages and pages of them on the police list. And after they’d called the hotels, there remained the pensions and hostels, more pages of names and numbers. The steamy warmth of the bar was comforting and familiar, as were the smells of coffee and pastry. A man and woman standing at the counter glanced at the uniformed man, then went back to their conversation. Brunetti asked for espresso, Vianello for caffé corretto, black coffee with a substantial splash of grappa. When the barman put their coffees in front of them, both spooned in two sugars and cradled the warm cups in their hands for a moment. Vianello nodded and wrote in his notebook. Finished, he slipped it into his breast pocket and began to reach for his wallet. Vianello nodded his thanks for the coffee and left. Through the steamy windows of the bar, Brunetti saw the ebb and flow of people across the campo. He watched as they came down from the main bridge that led to the hospital, noticed the police at their right, and asked the people standing around what was going on. Usually, they paused, looking from the dark uniforms that still milled around to the police launch that bobbed at the side of the canal. Then, seeing nothing at all out of the ordinary beyond that, they continued about their business. The old man, he saw, still leaned against the iron railing. Even after all his years of police work, he could not understand how people could so willingly place themselves near the death of their own kind. It was a mystery he had never been able to penetrate, that awful fascination with the termination of life, especially when it was violent, as this had been. He turned back to his second coffee and drank it quickly. “How much?” he asked. 1. 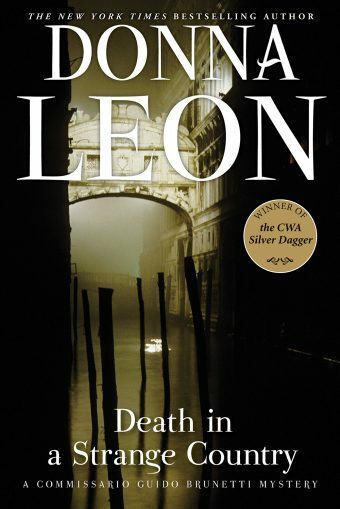 “This isn’t some tourist who got drunk and fell into a canal,” the pathologist Rizzardi tells Brunetti as he examines the victim’s body at the scene of the crime (p. 12). What leads him to make this conclusion? Why is the coin Brunetti finds on the body an important clue, and why is the victim’s likely nationality a particularly sensitive topic? 2. Why does Brunetti immediately doubt that the crime was a simple street robbery gone wrong? How does he figure out that the victim must have been an American soldier, and does that conclusion strengthen or dampen that doubt? 3. No one in the campo can tell the police much about the morning when the body was discovered, but Brunetti takes the lack of information at face value. Why are Venetians less likely to be distrustful of the police than residents of other Italian cities? Is this attitude a function of the city’s size, unique civic culture, or something else? 4. What is Brunetti’s initial impression of Doctor Terry Peters? What is unusual about her reaction when she identifies the body of Sergeant Foster? Is Peters herself surprised at her response? 5. How long does Doctor Peters say she has known Foster, and in what capacity? She seems reluctant to share information with Brunetti—is this due to the fact that she views him as a representative of the Italian state, meddling in U.S. military affairs, or due to something else? 6. How does Maggiore Ambrogiani characterize the Americans’ presence in Vicenza and their attitude toward their Italian hosts? What are Ambrogiani’s expectations for Americans’ cooperation with Brunetti’s investigation, and why? 7. “There’s a whole little world here, one that has nothing to do with Italy,” Ambrogiani tells Brunetti about the American military post (p. 99). What does this world consist of? Why has it been set up in this way? What are the advantages, and the disadvantages, of creating an American island in the middle of a host country? 8. What kind of information does Brunetti glean from Foster’s apartment? What is his biggest discovery there? Why does he immediately suspect that it was placed there for him to find? 9. After spending the day “working in America,” Brunetti returns home and heads out for a night in Venice’s Casino with his in-laws and their friends. Why does Brunetti feel out of place there? And how does the atmosphere at this gambling establishment compare with that in others? 10. 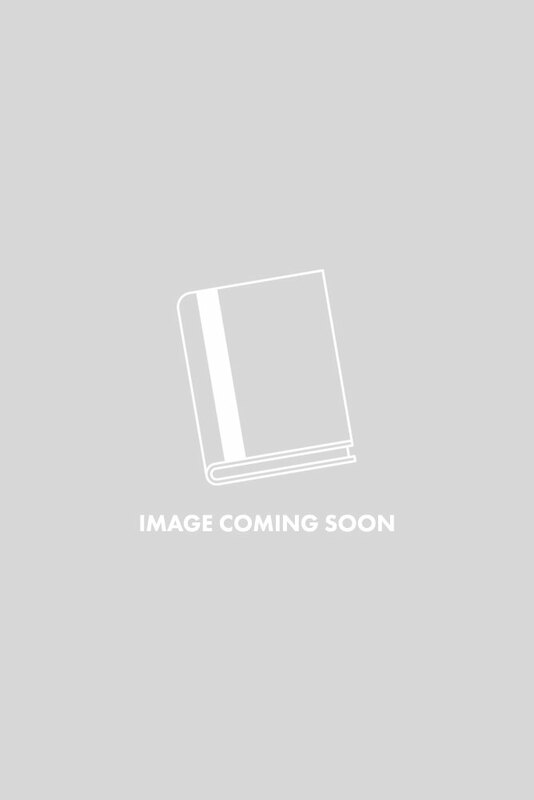 Brunetti learns more about Doctor Peters’s relationship with Foster, and about Foster’s job, during his second visit to the American army post. What is Peters’s reaction when Brunetti appeals to her for help with the case? Why do you think she responds this way? 11. How does Vice-Questore Patta’s attitude toward Brunetti’s investigation change from its early days? What does this shift indicate to Brunetti, and why? What does Patta suggest Brunetti work on instead? Are the Vice-Questore and the Commissario of the same mind about the new case? 12. What kind of man is Signor Viscardi, the Milanese whose Venetian villa is robbed of three masterpiece paintings? How does Brunetti learn this information? Why is he suspicious of Viscardi’s story from the start? 13. The mother of Ruffolo—the never-do-well petty thief who has been in and out of jail, thanks in part to Brunetti’s work—still treats the Commissario with grudging respect. 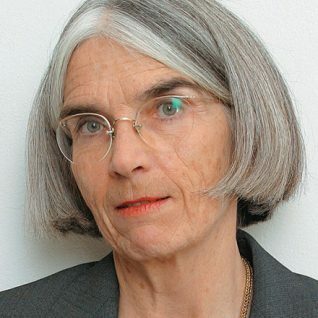 How has Brunetti managed to win her trust? What kind of advice does he give her when he pays her a visit? 14. Why does Brunetti immediately doubt the reported cause of Peters’s death? What does Ambrogiani report about the autopsy, and what seems to be his opinion of the matter? 15. What does Brunetti learn from the journal and medical report he receives in the mail several days after Peters’s death? How does Brunetti connect this information with Foster’s job at the post? 16. Basic research on industrial waste reveals to Brunetti “the extent of the problem that industrial man has created for himself and, worse, for those who would follow him on the planet” (p. 241). What is particularly problematic about the chemicals that are often used in basic appliances such as refrigerators and air conditioners? How has this problem been traditionally addressed, and why has that solution ceased to be an option? 17. Why do Brunetti and Ambrogiani pay a visit to Sergeant Kayman? What does Kayman reveal to the Italians about his son’s mysterious illness and medical records? And why does Kayman think it may have been relevant to mention Signor Gamberetto to Foster during his investigation? 18. “It seems like we’ve found what the American was looking for,” Ambrogiani tells Brunetti when the pair stumbles onto a clearing filled with hundreds of metal barrels. What do the barrels contain, and where do they appear to have originated? 19. Count Orazio tells Brunetti that “certain extraordinary rights have been extended to [Americans] . . . [because] variously incompetent governments have seen fit to offer them preferential treatment of one sort or another” (p. 300). What does this preferential treatment appear to include? What does the Count imply is preventing the Italian government from stopping even the most egregious abuses? What does he offer to do instead, and is it enough? 20. How does Signor Viscardi create the opporunity to speak with Brunetti in private? What is his advice to Brunetti, in which he claims Count Orazio also shares? 21. What is Ruffolo’s fate? What does Patta reveal to Brunetti about evidence found on Ruffolo’s body, and how does he view the case’s conclusion and Brunetti’s role in it? Why does Brunetti fail to see it in the same light? 22. What is the reason for Ambrogiani’s phone call to Brunetti? What is his new assignment, and what does it signal to Brunetti? Is Brunetti at risk for a similar transfer? Why or why not? 23. How well did Signora Concetta know the dealings of her son Ruffolo? What does she do with this information, and what does she do with the stolen paintings? 24. What sort of news does Count Orazio have for Brunetti about the “building site”? What favor does Brunetti ask of him, and how does the Count respond?